Our Lady of Guadalupe Tonantzin Community – Page 2 – Join us for worship in a collaborative community. 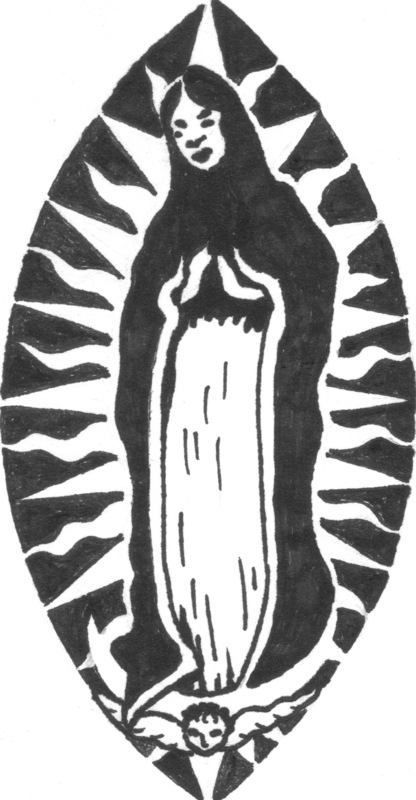 The Our Lady of Guadalupe Tonantzin Community was ‘born’ at the Vancouver Catholic Worker community in East Vancouver. It’s the location where we usually hold our feast day liturgies with a potluck meal. They’ve been offering hospitality to folks who need a place to stay for 19 years. The house is over 100 years old and they’ve been renovating it to create a cleaner, more energy efficient home and community space for everyone to use for years to come. So much good work has been completed but they’ve run out of funds to finish the project. Help them reach the finish line. Please visit this link to their website Vancouver Catholic Worker – Donate – Build Community and consider donating to help out and spread the word. Please join us in celebrating our 5th Feast Day as a community. We usually celebrate the Feast of Our Lady of Guadalupe, Dec. 12th on the actual day with a service and feast after at Samaritan House. However, this year because the renovations to the house are not finished and because Dec 12 is a weekday, we are celebrating the Feast Day on the following Sunday, Dec. 18th. Please see details below.